Another no name pattern for the gallery. 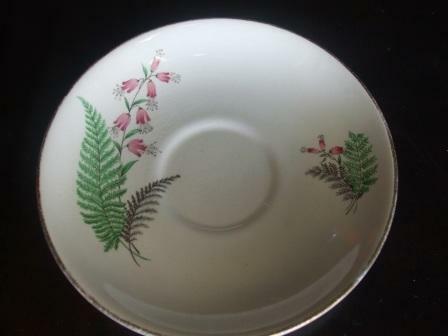 Pretty Fern & Pink flowers with a gold Trim. No name? Is it not called 'Ferndale'? 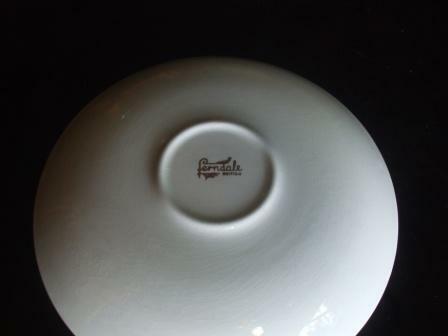 Or is Ferndale a more generic backstamp? Well yesterday I couldn't see any photos in Kat's post. Google however showed me photos and I was going to replace them today, but wallah they are now showing!! This pattern should really go into the main Gallery I reckon after seeing another turn up on Trademe. 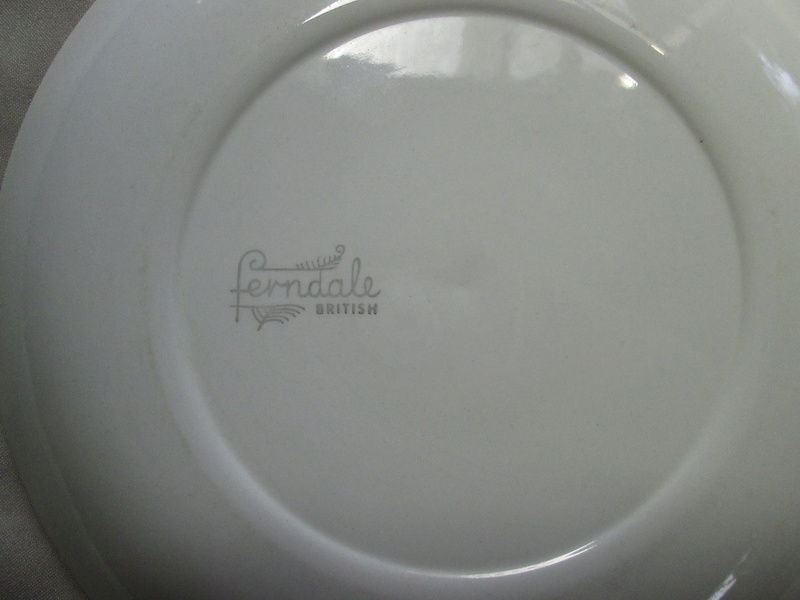 Another Ferndale British with Fabrique Background. 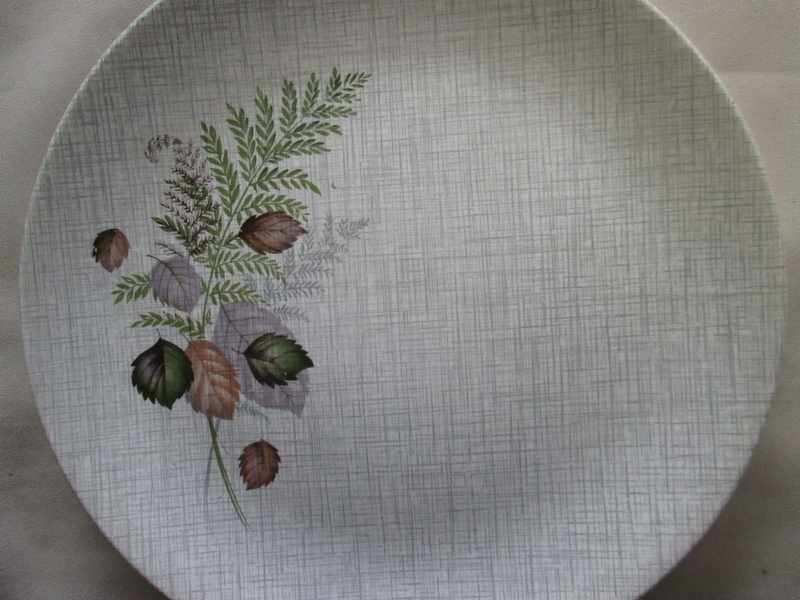 This dinner plate has Ferndale British too..will put this in gallery as we don't have it yet..but not sure which one? It should go in the F Gallery even though we already have a Ferndale British. 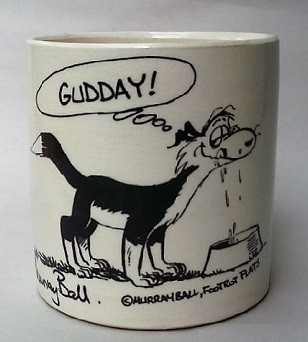 The cup in the gallery has just a plain white background, so I will add this next to it as Ferndale British on Fabrique, till a pattern number is found.